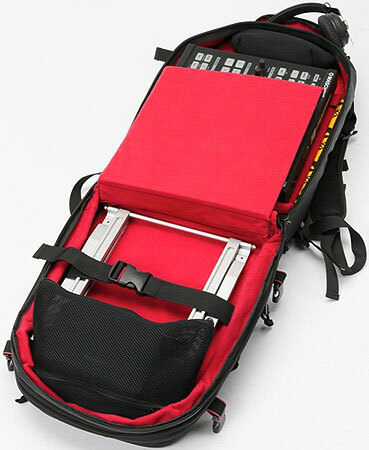 The RIOT DJ-BACKPACK is the latest and most compact model of the RIOT line. 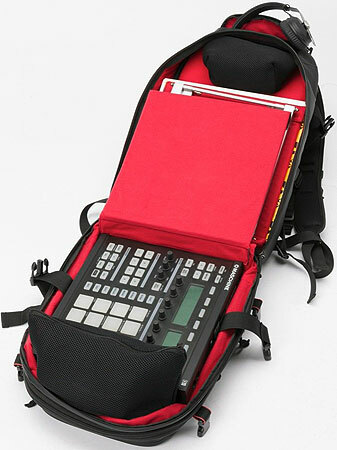 It was especially designed for digital-DJs travelling with a basic DVS setup such as 15" laptop, Timecode records and accessories or small controllers. 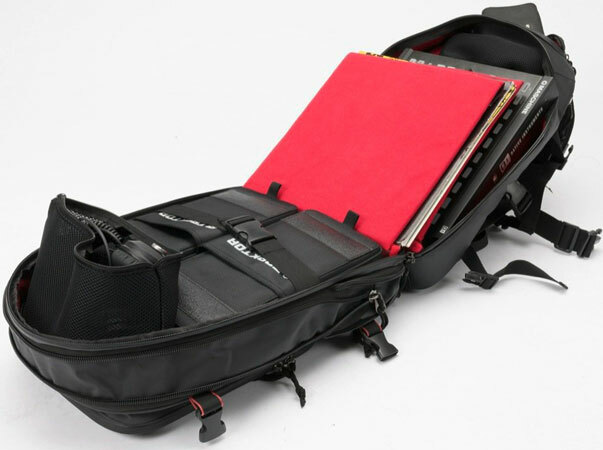 The clever interior layout of the main compartment includes two padded, removable dividers which allowing for three separate protective compartments. 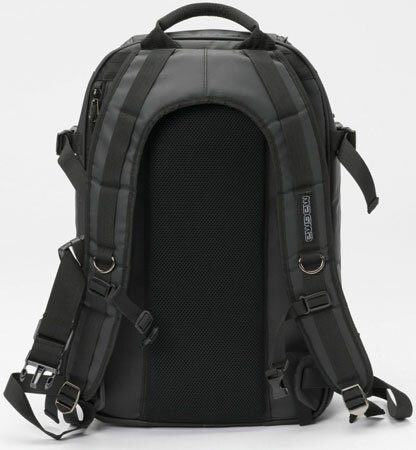 Two additional hanging mesh pockets can comfortably fill out the upper area of the backpack and easily hold headphones, cables and smaller gear. The featured "Zip-Around-Expansion-System" doubles the main compartment's capacity, providing useful extra space for even more gear or clothing for overnight trips. 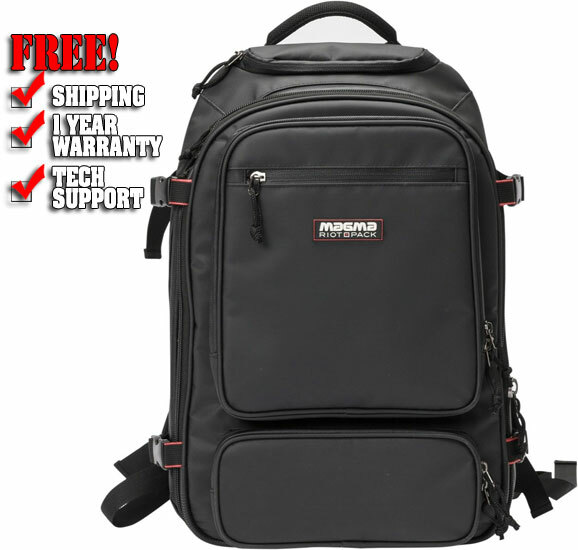 The RIOT DJ-BACKPACK also features a separate side entry compartment that provides quick access to your 15,4'' laptop without opening the main compartment. 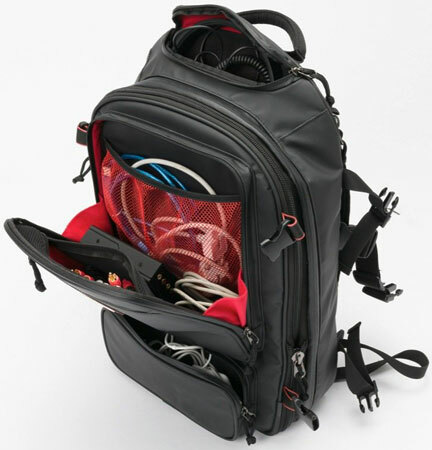 Smaller accessories like soundcards, USB-sticks, power adapters or personal belongings can be stowed in the large front pocket that is equipped with numerous mesh pouches. Separate laptop compartment up to 15"